Used but in excellent condition. Only used a handful of times. Comes from a smoke free home. The HALO SleepSack Big Kids becomes a trusted bedtime routine, providing the secure feeling your child needs to fall asleep fast and sleep soundly throughout the night. It is a warm cuddly blanket they cannot kick off; ensuring little ones sleep well and stay covered throughout the night. With its unique foot openings, the SleepSack Big Kids wearable blanket allows for greater mobility while children are awake, but also keeps little feet covered and warm while sleeping. Use over regular sleepwear to take the place of loose blankets. 100-Percent polyester micro-fleece. 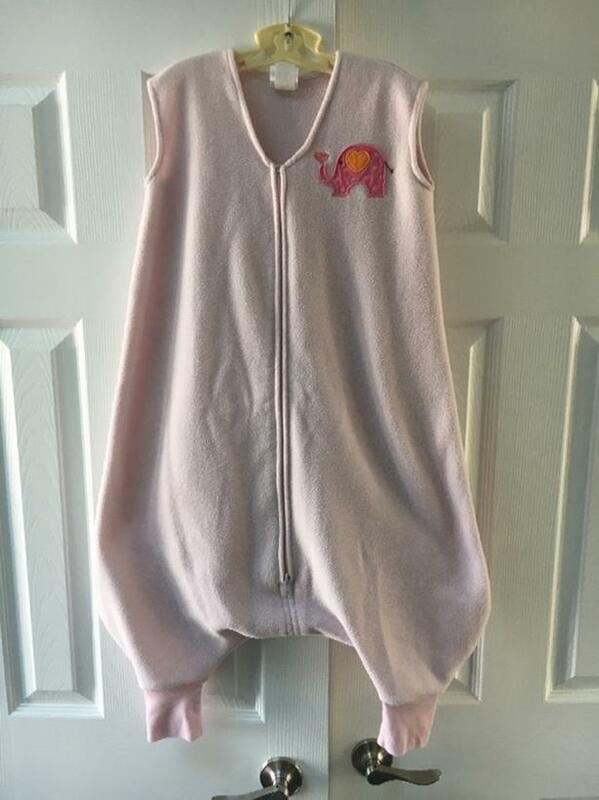 Meets federal regulations for children's sleepwear. Size 2/3T fits 34-40-Inch tall, and 4/5T fits 40-46-Inch tall.